Weh gaan ahn mi bally? Evriting aarite? …. Unu ready!? Add fun and Belizean culture to your iMessage with the Belizean Pride sticker pack that includes iconic phrases to keep the conversation going! 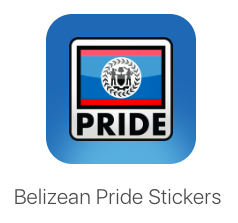 Express yourself and the country of Belize in new ways with dynamic and animated Belizean Pride Stickers. Scale, rotate, and layer stickers anywhere in your chat. You can even place them on photos you send and receive! More stickers are coming soon so to the package so stay tuned! Express your Belizean Pride with iMessage stickers inspired by the Belize Culture.